Phillip Fishburn has proven expertise in assisting small rural communities building capacity in water and wastewater, and has years of experience in addressing rural issues in governmental positions including Secretary of Agriculture State Task Force Chair and Legislative Assistant to U.S. Congressman Glickman. He has significant experience in administration including executive management, creation and initiation of new programs, team building, budgeting, business planning, spreadsheet evaluation, and professional staff supervision. Fishburn was inducted into the RCAP Hall of Fame in November of 2016. 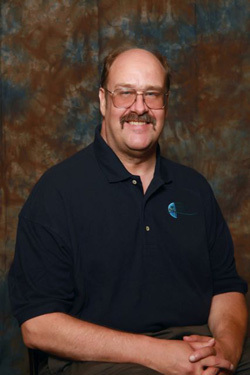 Since 1995 he has helped MAP’s rural Kansas water and wastewater systems to secure funding for project development and to improve their operational, stewardship, and business management practice. He is a subject matter expert on management, utility rates, environmental reports, and emergency response procedures. In recent years, he has successfully helped many communities to complete USDA Rural Development’s RD Apply application including registering for the Federal System for Awards Management. Currently, Fishburn is embarking on an effort to help RD borrowers to comply with covenants found in their financing agreements. These covenants, or obligations, are in effect for the Life of the Loan. Fishburn has a BS degree in Agriculture Education from Kansas State University.